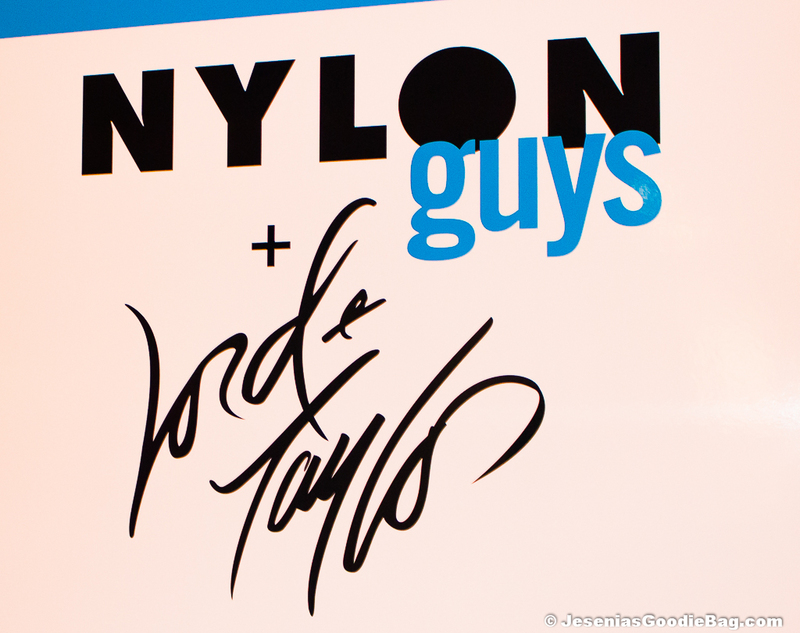 Lord & Taylor kicks off Spring fashion with Nylon Guys magazine, hosted by men’s fashion blogger, Adam Gallagher of I Am Galla, who posed with guests at the step-n-repeat, while others made a beeline to the selfie booth, hashtagging #LTMen to @LordandTaylor on Instagram and Twitter. 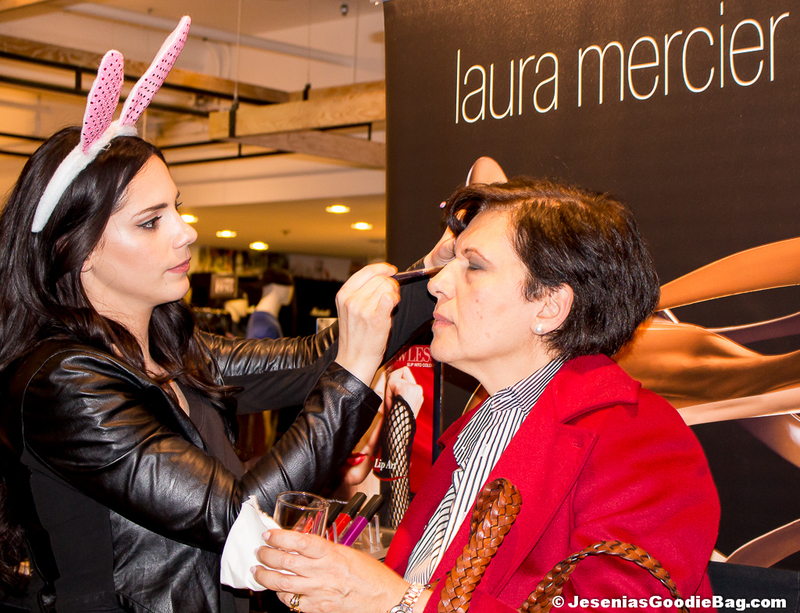 Gentlemen weren’t the only ones enjoying the event, as women indulged in complimentary makeup application at the Laura Mercier beauty stand. The beautiful DJ Brittney Kernan delighted guests with progressive beats, as they sipped cocktails, engaged in small talk and thumbed through the Lord & Taylor (Spring 2015) – Men’s Style Guide. Inside the L&T catalog, an array of graphic t-shirts, and sport-shirts in linen fabric and floral print. Pant options included cotton and cargo shorts, bleached moto jeans, chinos and twill pants. More formalwear featured cotton blazers and slim-fit suits. Shoe selections were comfy but stylish in Birkenstock sandals, woven slip-on shoes, sporty leather high-top sneakers and leather Chukka boots. An extensive collection of versatile outerwear in knitted hoodies and jackets in belted, military, chambray, nylon and bomber styles. Classic accessories in assorted beaded and woven bracelets, aviator sunglasses, chronograph watches, and leather trimmed canvas duffle and messenger bags. 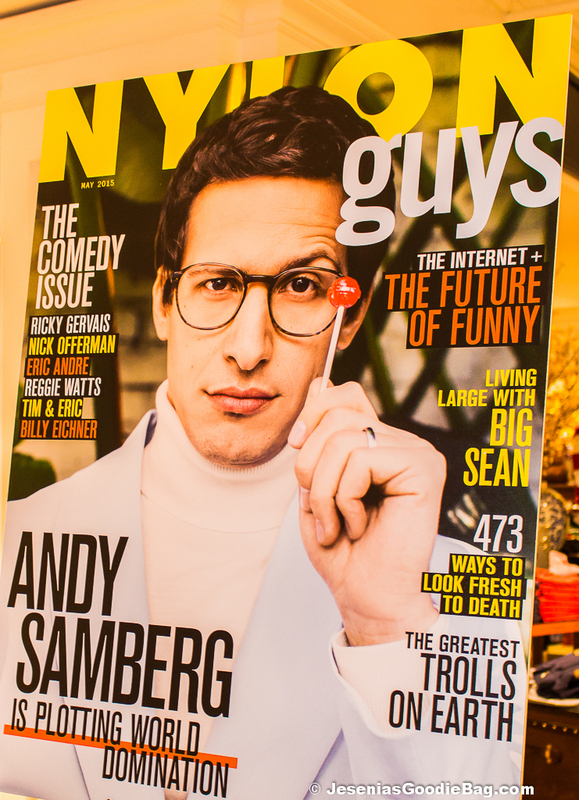 Comedian Andy Samberg graces the April/May issue of Nylon Guys and opens up about many things, including married life, SNL and his inner foodie.